KaiLu. . 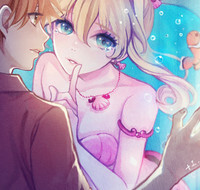 Images in the Kaito x Luchia club tagged: photo kaito luchia mermaid melody.